Connect Paldesk to all the platforms and software solutions that help your business grow faster. Receive Facebook messages & reply directly from Paldesk. Receive Twitter messages & respond directly from Paldesk. Receive & reply to email messages directly from Paldesk. Reply to customer conversations directly from Slack. Chat in real time with visitors to your WordPress website. Increase e-commerce sales on your Prestashop website. Chat in real time with visitors to your Joomla website. Chat in real time with visitors to your Drupal website. Increase e-commerce sales on your Magento website. 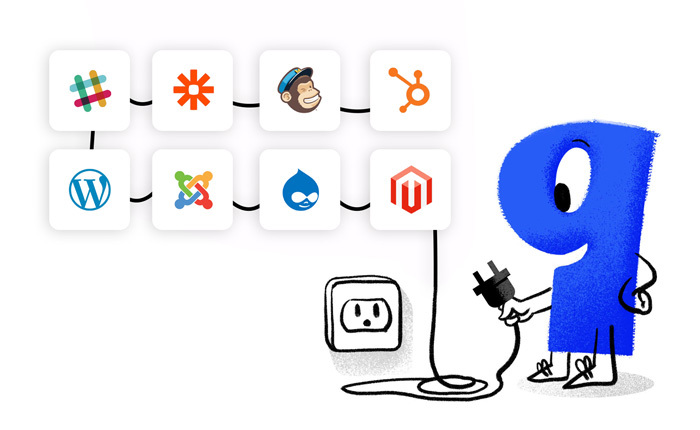 Connect Paldesk to over 1000+ apps with Zapier. Automatically push leads from HubSpot into Paldesk. Drive all your emails from MailChimp into Paldesk. Increase e-commerce sales on your Squarespace website.